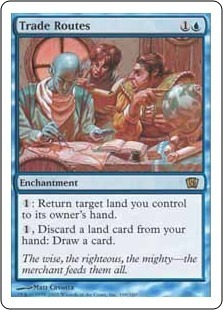 : Return target land you control to its owner's hand. , Discard a land card: Draw a card. The wise, the righteous, the mighty—the merchant feeds them all.